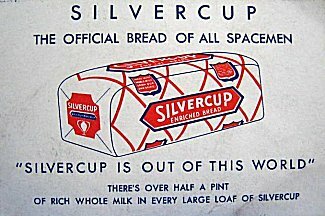 For years this was the white bread brand of choice in our house. Wonder Bread made an occasional appearance too. Seeing that Silvercup wrapper again brings up all sorts of memories. The bakery had a large "Silvercup" sign on the roof, visible from the nearby highway. The building is now home to a film/TV production company. They kept the sign and named the company Silvercup Studios.